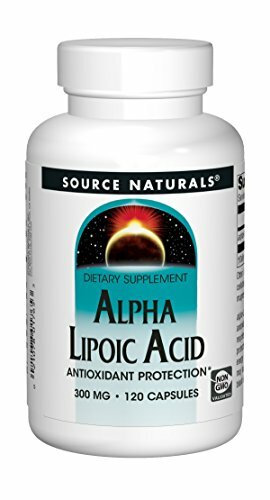 Alpha-lipoic acid is a fat and water soluble antioxidant. It directly recycles vitamin C and indirectly recycles vitamin E.
This product scavenges and terminates free radicals. ALA supports healthy sugar metabolism, liver function and energy generation. ALA is a potent reducing agent. Hypoallergenic, contains no yeast, dairy, egg, gluten, corn, soy, wheat, sugar, starch, salt, preservatives, or artificial color, flavor, or fragrance.